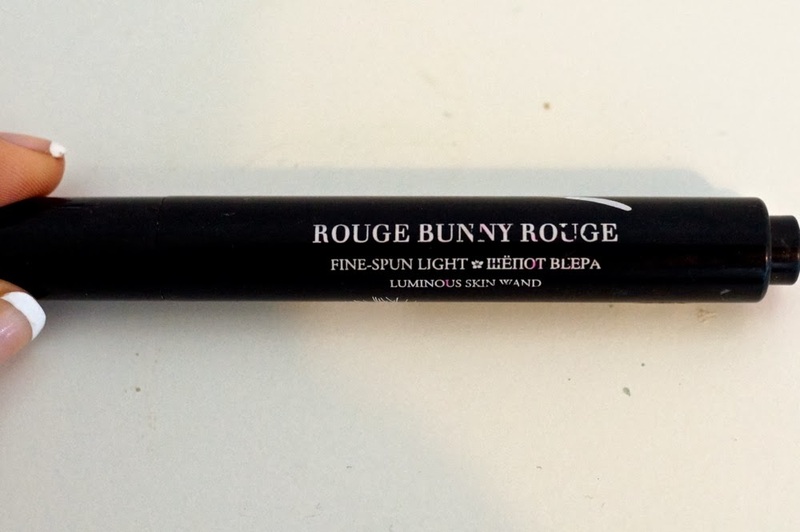 To create my favourite face base, the one that gives me the most flawless finish, I first use Rouge Bunny Rouge's Luminous Skin Wand under the eyes, I've had this for ages and really love it. I'd say this is a dupe for YSL's Touche Eclat, another alternative is L'Oreal's Lumi Magique Pen although this is thicker than both YSL's and L'Oreal's under eye concealers so it's much better for coverage. I use Benefit's Fake Up for contouring when creating my every day foundation look. When it comes to foundation Dior Forever Foundation is my ultimate for creating the most flawless base. I am so happy I re-bought this, you can read a review of it here. I put this over the top of my concealer and then use the Real Techniques Expert Face Brush to blend this in (the worlds best brushes, again another review of those little babies here). I had to apply quite a lot of this because my natural tan/freckles from my holiday really shine through. Just call me Mrs freckles! If you're looking for a cheaper alternative I'd highly recommend Vichy's Dermablend foundation, it's my ultimate high-street foundation for flawless skin. I then applied YoungBlood's HD powder in translucent which really does make your face look HD ready and pretty perfect, it just blurs out any imperfections. For warmth, I then apply my trusty MAC Mineralize Powder in Medium/Dark (I swear by this powder seriously). To finish off the highlighting it's all about MAC's Soft and Gentle Powder Highlighter. This highlighter is so good for giving you a Kim Kardashian highlighting look but with it being a powder it's such an easy look to achieve. I used L'Oreal's Telescopic on the eyes, it's very dark but it isn't too thick, so it makes the lashes look naturally long but not too clumpy. This mascara separates the lashes perfectly, in fact, making them too long sometimes haha. It's very wet so just be careful that you don't smudge it, it has the potential to ruin your whole face of make up if you smudge it under your eyes. When it comes to creating the perfect natural lip, I go for Clarins Natural Lip Perfector every time. I've discussed this on the blog a lot because I find that it gives me such a pretty, natural and 3D lip. I love anything that makes my lips look bigger and this really does make you want to show off that pout. Thank you Clarins, I really do love you for giving me such kissable lips. Because this is a natural look, I finished it off with a hint of Clinique's Fresh Bloom All Over Colour blusher. I kindly received some of Clinique's new products recently and I am more than impressed. You can read about some of them in my September make up bag post. All hail Clinique, they've really got it right with their new products. Have you used any of these products? Do you like the sound of them? Everyone is different, so I'd LOVE to know what you use to create your flawless and natural make up look? Your skin looks amazing even without makeup! You seriously have amazing skin even before the makeup- very jealous! I will be looking into one of the foundations you recommend as mine has just ran out! Great post! Thanks for sharing Dior Forever Foundation especially when you mention about your freckles. Will look into this product. Hopefully I will see similar results as yours! I love the sound of the YoungBlood's HD powder. I've been after a good translucent setting powder for while -you've sold me! We have such similar taste in makeup I really want to try vichys dermablend foundation. Gorgeous and flawless Hun as always. This is a really helpful post, you are so beautiful!!! incredible post and beautiful makeup. Would you like to follow each on both gfc and bloglovin..?